AC Electric Motor Controls include a wide range of devices used to control the operation of motors. We carry a large inventory of motor controls from the well known manufacturers. We stock manual and magnetic starters, relays and MCC buckets. 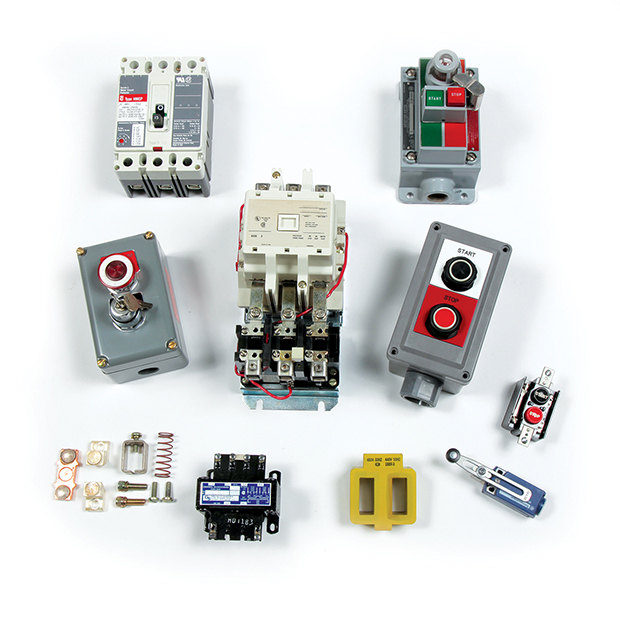 We also carry a huge supply of parts including push buttons, enclosures, contact blocks, auxiliaries, switches, contact kits, coils and other components.